Scrangie: a-england The Mythicals - Elaine, Lancelot, Merlin, Morgan Le Fay. a-england The Mythicals - Elaine, Lancelot, Merlin, Morgan Le Fay. I previously reviewed a-england's Avalon, Lady of the Lake and Tristam and was quite impressed with the gorgeous shades. Today I have swatches of some of the other shades- Elaine, Lancelot, Merlin and Morgan Le Fay. I'M SORRY! I CAN'T HELP IT!!! Lancelot. I loved the description of this one on the website: "Intriguing mysterious black red garnet. Lo! Gothic glory! Alternate on nails this blackest red with camelot the blackest black for even more depth and mistery." Black red garnet! Gothic glory! In the bottle you can tell that it's not just black, but on the nails it pretty much just looks black. Sometimes you can see a wine hue to it, but it's not obviously red. Despite that, I love the way it looks. Just a little softer than pure black. I had a little problem with the thickness of this one, though. It was so thick I could barely spread it- after a full dropper of Seche Restore it was perfect. A one-coater. I still did two coats. This is one coat of Merlin over two coats of Lancelot. See how dense this glitter is? Almost entirely covers the base polish. Morgan Le Fay. This is a sheer white shimmer. It has a little silver to it and even seems to reflect pale blue in some lights. It's very clean and delicate looking. It is on the sheer side so it's probably good for layering, but I like it better by itself. This is three coats and I think it looks perfect. The formula on these was good except for on Lancelot. The two cremes were one-coaters but extremely thick. The sparkly ones needed two to three coats but had a thinner, easier to control texture. Drying time is on the long side but becomes more reasonable when used with Seche Vite topcoat. I really like these. Maybe not as much as the holo goodness of Lady of the Lake and Tristam, but they're still very nice. Morgan Le Fay might actually be my favorite of the group- it looks so clean and delicate and ethereal, like snow or mist. I've heard a rumor that there may be more holos from a-england in our future... Fingers crossed! Wow! I'm loving Merlin and Morgan Le Fay! Really pretty! 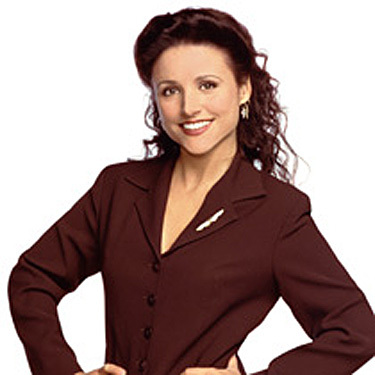 Are there any colors of mainstream brands that Elaine reminds you of? It looks lighter than Lincoln Park after Dark, and bluer than CG Urban-Night. Elaine is gorgeous! I've been looking for a shade like that. It reminds me of YSL's Tulipe noire, a polish I love, but that has a bit more purple. Best dark ever. Merlin could look great in a Jelly sandwich with a black base and a teal or navy jelly over top. Thinking about it named after Elaine from Seinfeld kind of makes me want it. I want to get my hands on Lancelot :) gorgeous! Don't worry Scrangie, you weren't the only one whose mind went straight to Seinfeld. I love A England's polishes. I'm definitely hoping for more soon. Morgan Le Fay probably isn't a colour that I'd go for normally, but it looks awesome. I want more now! Love the reference to Elaine from Sinefield! Now were so we shop for a England polishes? Beautiful shades. Merlin is so glittery and gorgeous. I love Morgan Le Fay. I really love foils.